If you’re not familiar with the Lyth Valley, if you’ve happened to stumble on this blog from a far away land, this area is located in South Cumbria tucked away between Kendal and Windermere. South Cumbria and the Southern Lake District being one of the busiest areas of this region yet the Lyth Valley has managed to keep its unspoiltness (yes, it is actually a real word) and tranquillity. The Lyth Valley contains rolling countryside, forests and pastoral delights and every now and again you stumble of a delightful little village. And these delightful little villages contain some of the best restaurants in Cumbria. The nature of the landscape means produce is plentiful and of such a high quality with game being exceptional good and popular. There is also the small matter of the damson. The Lyth Valley damson being one of the most famous associations with this region. The annual damson day brings visitors from far and wide in April as the distinctive white blossoms come into full view. And the trend for cooking with this tart fruit by top chefs now has made these little nuggets even more sought after. And now as Autumn approaches, damsons are ripe and September being at their best. Looking for somewhere to stay then the aptly named Damson Dene Lake District Hotel is just the place. Newly refurbished bedrooms, family rooms and annexe suites, dog friendly (this area is full to the brim with glorious dog walking routes, great food and leisure facilities including a pool. If you’re looking for a wedding venue then Damson Dene Hotel is ideal. Room start from a great value £80 bed & breakfast for a double room sleeping 2 and look out for the seasonal offers too. Visit https://www.damsondene.co.uk/ for all the information. The Two Together Railcard has been a fantastic addition to the fleet of discounted railcards offered by National Rail. This railcard means the person who purchases the card, along with the person they travel with the most, receive a 1/3 off journeys with the cost of the card being just £30 a year. In one lengthy journey alone the card will pay for itself but those who commute with a friend or colleague, well it equates to quite some savings during the year. With better, faster train services to Oxenholme – The Lake District, visitors from as far as London can travel by train to the Lake District far quicker than driving. Not only quicker but far more relaxed! And onto where to stay? Well it has to be Windermere. Step right off the train or bus and you’re right there and have a choice of hotels and B&B’s. Applegarth Villa Hotel & Restaurant in Windermere offers the height of luxury and romance yet right in the centre of Windermere. A one minute walk from the station and this hidden gem of a hotel has rooms to suit all budgets but the luxury hot tub suites are what to look out for. Not seen from the road, these suites have views across the lovely park and to the fells beyond. Visit https://www.lakesapplgearth.co.uk to view the rooms and book. 15 minutes from Windermere is Bowness and Lake Windemere. There why not choose to travel by boat to Waterhead for Ambleside or up to Lakeside and Newby Bridge on one of the Windermere Lake Cruises ferries. Looking to do some fell walking? Then from Waterhead there is the fabulous Loughrigg walk or lots from Windermere itself. The bright, easy to navigate and engaging Langdale 4 Star Hotel & Spa website to the place to find their best deals. Enjoy luxury for less in the Lake District when booking direct. Firstly, a simply sign up to the Fan Club not only keeps subscribers in the know with every item of news coming from the hotel, the estate, restaurants and spa but it also grants members 15% off all room rates (subject to availability with bookings made 30 days or more in advance). More enticing offers and rates are on during late Winter and into early Spring with rooms with breakfast, starting from under £140. Couple this with Stove, the restaurant and bar with lovely places to sip cocktails, enjoy daytime coffee or why not cosy up outside beside one of the woodburners wrapped in one of Stove’s soft blankets. The cold weather need not put anyone off, it’s a great time for a short break, holiday or just a sneaky night away. With walks, cycle routes, Twizy electric cars to hire, the all new and luxurious Brimstone spa with treatment rooms and swimming pool, the Langdale Hotel is the ideal pre summer getaway destination. 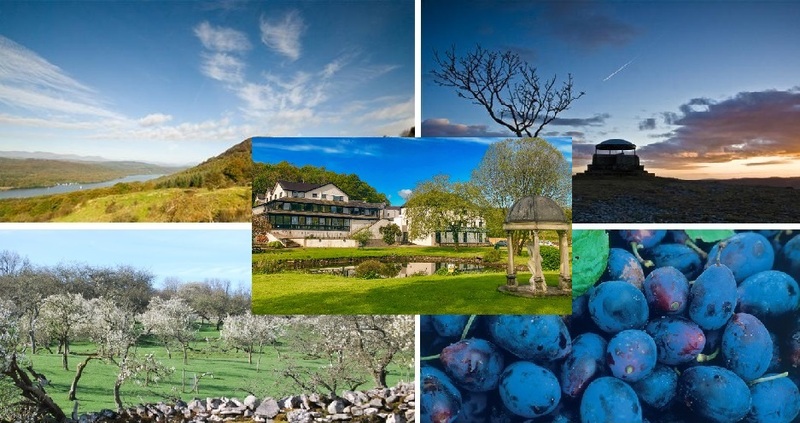 Boutique hotels in the Lake District are not just for summer, they’re for the whole year. With this, the largest and busiest of all the National Parks, the Lake District is a year round place to visit no matter what the season and now, thanks to luxury boutique hotels, can be enjoyed whatever the weather throws at you. It’s now time to eradicate those thoughts of not being able to visit this northern destination in the winter and realise it has just as much going on, charm, beauty and intrigue as any other time in the year. In fact, it’s probably even better as you can have it more to yourselves. Out of school holiday times and as once called the off season means that little bit more tranquillity, less traffic, hustle and bustle. Although the fells must be respected and there are various times during the year where venturing up too far is not at all advised, they are a resource, activity and adventure source open all year round. Brimstone on the Langdale Estate has it all sewn up for winter whether it’s when within the suites or in the Lake District outdoors. Starting externally and Brimstone offer guests the chance to access the Berghaus Bootroom full of technological kit perfect for Lake District outdoor adventures for use whilst staying. They even have a little added bonus in a pimped up Land Rover Defender. Brimstone Hosts can deliver gusts to their walking start destination (handy they say if you’ve had an extra hour in bed!). Back to Brimstone and light the woodburning stove in the suite, feel rejuvenated and thoroughly warmed in one of the luxury baths then head to The Reading Room for complimentary refreshments. If the weather is really too much, or the woodburner too enticing to leave, room service is the answer. Full meals and delicious wine and beer choices can be delivered to the suite. So Brimstone really have got it wrapped up in every way for a wonderful winter break in the Lakes. Check availability here http://www.brimstonehotel.co.uk and for more information. Also not the book 30 days of more in advance for a saving of 20% on room rates.